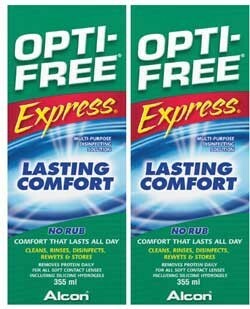 OPTI-FREE Express MPDS 3 month pack. Lasting Comfort Formula provides lasting comfort with the convenience of 'no rub'. It is also effective at cleaning disinfecting and storing soft contact lenses including silicone hydrogels.